Well not quite, unravelling reveals a complicated irregular construction that can prove teasingly difficult to get back into the original shape. 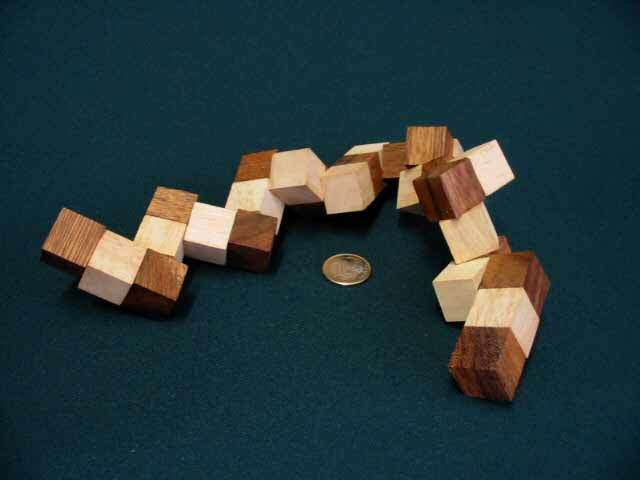 One of the most popular puzzles that we sell and very hard to describe except to say that it’s the most addictive plaything that many people have ever seen. Even if you’ve done it once you can’t easily remember the solution and it’s so tactile that you soon can’t stop playing with it. An instant hit with people of all ages. Wood type -: Samanea/Parawood. Packaging -: Transparent PVC. 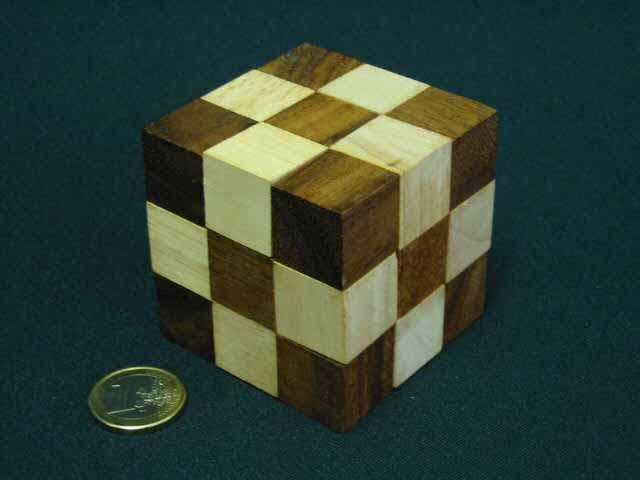 Dimensions 60 x 60 x 60 mm. Weight 120 grams.